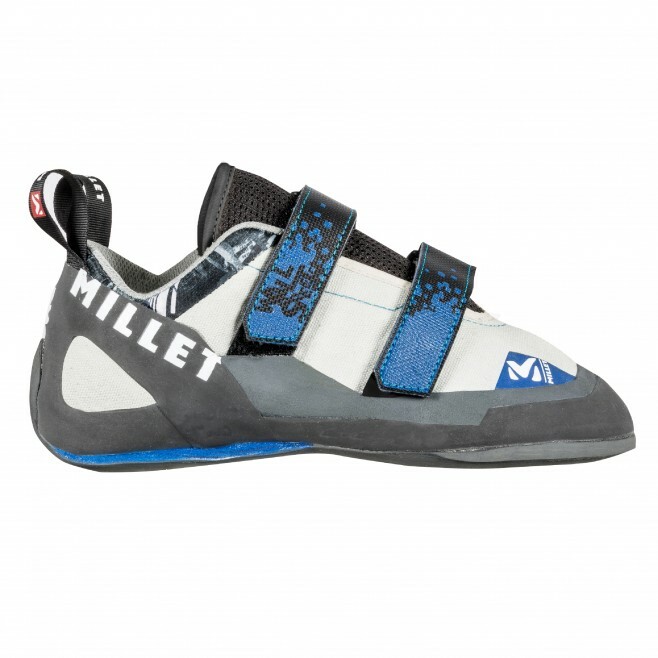 "This new climbing shoe is ideal to begin indoor climbing. The 4POINTSGRIP™ non-marking rubber leaves walls and holds clean. Suited to fragile climbing-gym floors, the WALL STREET has a wash-friendly p olycotton upper (no leather guaranteed) and is very robust. Once you top out, the EVA heel cushion is very welcome, helping absorb the impact of any heavy rappel landings. And for transport, they clip together. Part of the indoor pack (same color codes) including the TAURUS rope and VERTIGO ROC 25 backpack. Double-lasted with 4PointsGrip™ indoor rubber for grip and enhanced durability Heel counter.